When Cristin of Simplified Bee and her husband decided to add an addition onto their house, the top thing on their wish-list was a custom walk-in closet for the master bedroom. Cristin loves interior design and wanted a shared space that would reflect her interest in design and her husband's desire for increased functionality. Using both a designer and the online design tool, Cristin came up with a design that maximized the space by utilizing vertical storage. 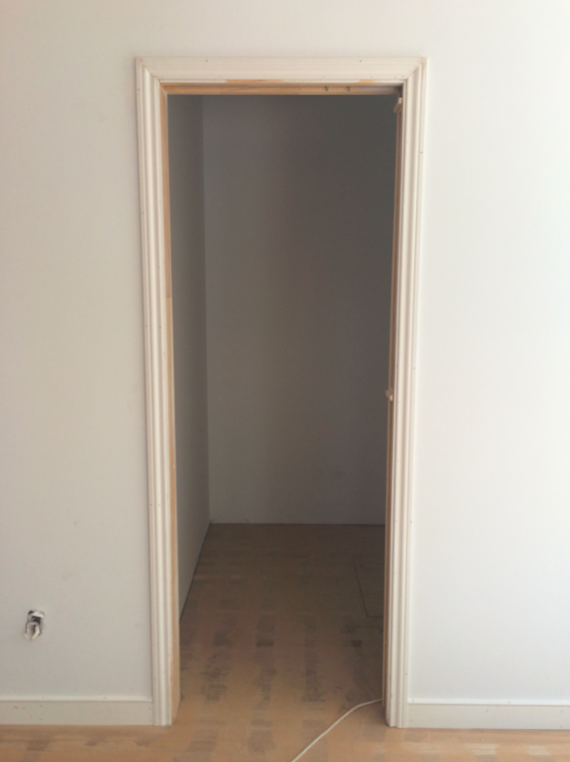 Cristin loved being able to choose a finish that complemented the style of the rest of her home: "The closet's neutral color palette flows from the bedroom and bathroom. To complement the coastal feel and grays in the wallpaper, I choose the driftwood finish for the cabinets and layered natural elements such as the jute rug." 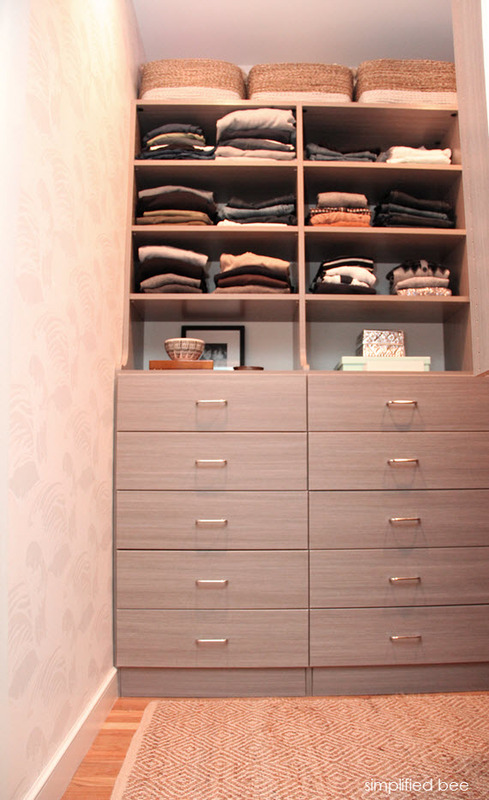 The addition of design features like a hutch and shoe rack made the space more functional: "I love the shoe rack! I can now display and find all of my favorites quickly! The hutch drawer unit provides both me and my husband plenty of drawer and opening shelving. 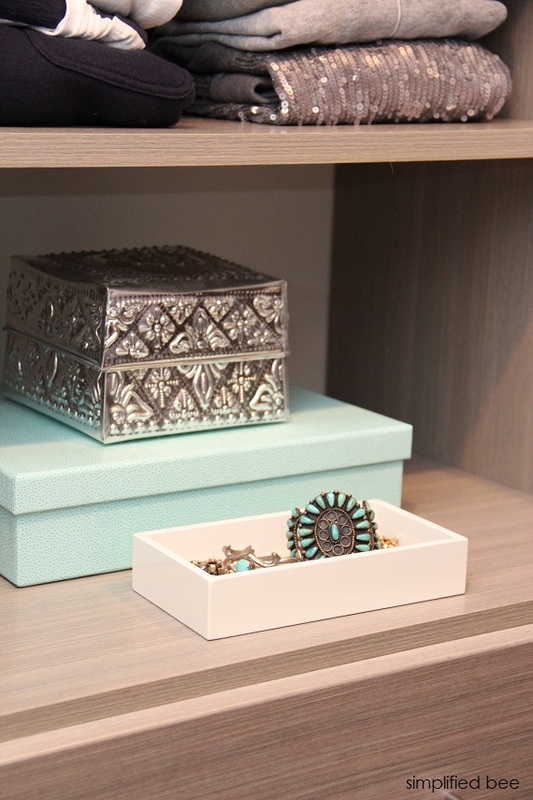 I love having counter space for jewelry and other trinkets."